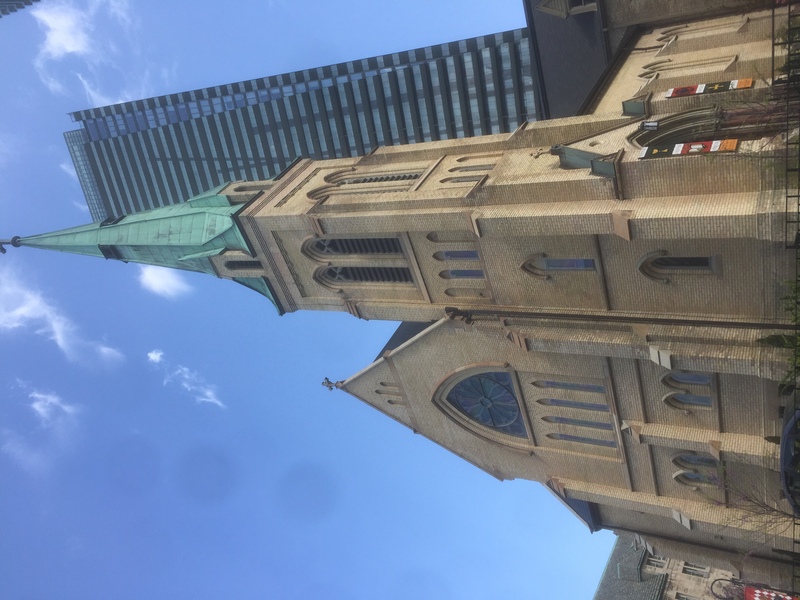 St. Basil’s is located in downtown Toronto on the Campus of the University of St. Michael’s College at the University of Toronto. St. Basil’s is located in between all three major subway lines – easily accessible from Museum, Wellesley or Bay Stations. Parking is available at the University for a fee (anywhere from $7-$12 depending on the season). Additional parking is available in city lots. There is very limited access and parking in front of the actual church. We have a number of space to accommodate a variety of gatherings. Each room has audio-visual and internet capabilities. You are welcome to bring your own catering or you can contact through Chartwells at the University of St. Michael’s College. All of our spaces are newly renovated, yet hold on to many of the historic elements of the building. In addition, the grounds of St. Basil’s are that of the University, allowing for room to walk and contemplate. For this reason, St. Basil’s is an excellent alternative to many other locations in the heart of the city. For more information, you may contact the parish office at (416) 926-7110 or fill out the form below and we would be happy to answer any questions you may have.